Little Pickle Press is an environmentally conscious publisher of children's books and other 21st century media. From its inception, digital products like e-books and downloadable tunes for each of the titles were part of the product mix. Their global focus made this particularly important, so that readers around the world could download the books with the click of a button. 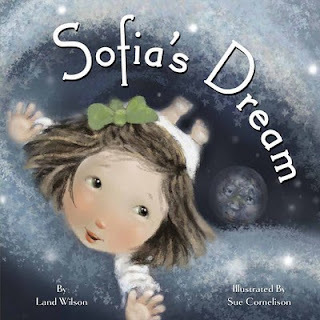 When their latest book, Sofia's Dream by Land Wilson was released, one of the team's agenda items was e-book conversion - a particular challenge as picture books don't transfer very well to digital products like Kindles and smartphones. Little Pickle Press has a professional team of artists and designers hired to enhance their socially and environmentally relevant stories - the delivery of the artwork had to maintain the creative integrity of the original works. Today, we talk to Doug Rowell of Media Tavern, and he explains how his company is able to create quality e-book products for Little Pickle Press. Dani: Doug, thanks for joining us today. So apparently there's a problem with downloading kid lit to gadgets like e-book readers. Can you explain why that is? Doug: The current generation of e-book platforms were created for text media like novels and are great for that. But when you try to read an illustrated book on a Kindle, line quality is reduced as well as color, and the screens are just not large enough to do justice to a beautifully illustrated book. Dani: So how did you manage to get Little Pickle Press books into e-book format? Doug: We looked at other platforms, all of which were at about the same level of capability, but still not able to deliver a model that would give the quality needed. So I developed a "work-around", and we chose Lulu.com for several reasons. 1. They had live help which was unusual in itself and which we needed in this case. 2. They had an intuitive user-interface. 3. They offered built-in analytics for tracking downloads and sales. Dani: That term "work-around" strikes fear into my heart! What does that mean? Is this really complicated programming stuff? Doug: It's complicated only because it requires a lot of steps, but a non-technical person could do it if trained. It's something book designers should learn to do. Dani: How long does this take - not just the conversion, but actually having new e-books available to the public? Doug: The actual conversion takes one person about two days. Then about one week for Lulu.com to approve the product. Propagation to the various top service portals like Amazon.com and iTunes takes 4-6 weeks. Dani: What kind of equipment is best for viewing highly illustrated children's books? Doug: Really only two right now - computer screens and iPads are the best for maintaining image quality. Dani: Do you see that changing in the future - any other choices for readers? Doug: Rumor has it that Samsung is coming out with a product called the iPad Killer that is cheaper and has better resolution. Dani: Oh, that's interesting news! Any final words about what readers can expect in e-book publishing and especially illustrated works? Doug: Variety is on its way! So writers, you have something to think about should you decide electronic media might be an option for that children's book you have inside you. There are possibilities now and even more hovering on the horizon. Little Pickle Press has figured it out. If there's interest, we'll consider a follow-up post here to talk more about that "work-around" mentioned above. Since this stop is also part of the blog book tour for Sofia's Dream, we get to offer you a couple of giveaways from the publisher! First contest: leave a comment and an email address here to be entered in the drawing for a copy of Sofia's Dream. A lovely little story in lullaby format, a dreamy little girl visits her friend the Moon, and sees our planet through his wise and somewhat sad eyes. When she awakens, she is moved to do everything she can to cherish and care for her precious home. It's a timely environmental message for children and adults alike, shared in a gentle and non-threatening way without losing its power. Second contest: click over to the Little Pickle Press blog and leave a comment to enter in the drawing for an iPod Shuffle. With that will come free downloads of iTunes created especially for the Little Pickle Press books by the talented Jasmine Saldate, singer and songwriter. Thank you, Doug, for visiting with us and sharing your insights about e-books in children's literature! Just read that it's already #19 in its category at Amazon http://amzn.to/elK3Dw - that's cool! I'm interested in the choice of Lulu.com for the e-book, and would love to hear more about the "work-arounds." I've had several artist friends use Lulu for their e-books, so I can see a connection here. More deets would be great though! This sounds like a special book. Love the cover. And I love the name "Little Pickle Press"! Doug, thank you and MediaTavern for helping us to navigate the choppy and unpredictable digital waters to make some good decisions for our business and to create great products for our customers. We appreciate you! It sounds like a lovely book!! What a beautiful cover for the book. Love it. This post was so interesting. I am blown away by the advances in technology and can't wait to see what is next for enhancing the reading experience electronically. Maryann, I'm interviewing the artist today for an update here next week. She has a fascinating story about how this artwork was created! You'll really be amazed! As an artist, I'm interested in the reasons behind the selection of Lulu.com. I read earlier about an art book published by Lulu but don't think it was an e-book. Interesting post Dani. thank you for having Doug on. I look forward to getting an e-reader in the future and would love to start collecting those Pickle books. All of them seem great to me. That book has such a cute cover. The way ebooks are evolving there will be more and more opportunities for color to do such pictures justice. I do love my Kindle for reading, because it's so easy on the eyes. Still, it would be nice to have a gizmo with a screen that has the option of changing to color if desired, best of both worlds. Very interesting. I also learned that what I need is a smart editor who know how to do techy things. I don't have a Mac or an iPad, but I think perhaps I'd trust Apple more than Samsung. Guess I'll have to wait and see, though. Thanks for an informative discussion, Dani and Doug! I'd love the chance to enter this wonderful giveaway. Very interesting; I hadn't really thought about the problem with graphics and e-books: I'm sure the growing Graphic Novel industry will try to push a solution through as well. I was wondering about Lulu; I've received review copies of books self-pubbed through Lulu and I thought the quality was quite good. I haven't investigated their electronic side. It's good to know that they have a live help system (that works).